I did not mean to be festive. 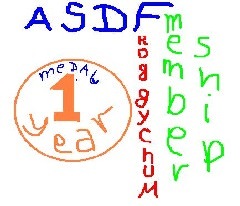 Just, happiness is one of my supreme values, something I have expressed on ASDF before. Also, I want most of my posts on ASDF to be in the Games section. To be honest, the only reason why I made any posts in this thread is that it is by my friend, who wrote in public that we are best buddies. A fact. ...which means not only the presence of a Constitution, but also governing a country in accordance to the Constitution, or , as well, a quality of legal norms, consisting of lack of contradiction between the Constitution and any of the other Laws. Excellent is the word !!! ...explaining why I post in this thread . A cool thread by a cool person. A fact. Last edited by Ivokyuftaf6666 on Thu Jan 11, 2018 8:04 pm, edited 1 time in total. friendship is what we share!